In previous decades, American government administrations would routinely veto anti-Israel resolutions put forward by various countries represented on the United Nations Security Council. In the days when the former Soviet Union fought an active Cold War with the United States and its NATO allies, such resolutions were tabled almost every month, and during times of heightened Mideast tensions, nearly every day. According to the British Guardian newspaper, the Obama administration has assured Palestinian leaders that the US will no longer veto any resolution censuring Israel for building Jewish homes in territory that the Palestinians claim for a future state. The report said American diplomat David Hale, who serves as the deputy to US Middle East envoy George Mitchell, delivered this message to Palestinian Authority leader Mahmoud Abbas in late April. Known in Great Britain for its anti-Israel stand, the Guardian reported that Hale told Abbas that the Obama White House considers such home building a “provocative” act, including the construction of apartment units in the eastern half of Jerusalem. 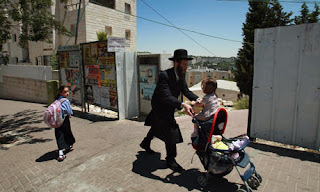 Israeli officials often point out that Jews have lived in the disputed areas for nearly three thousand years.